Lately I have been OBSESSED (that needed all caps for sure) with coconut butter. I eat it by the spoonful, put it in smoothies, bake with it, drizzle it on fruit, use it as a sandwich spread, saute veggies with it and more. Coconut butter is made up of the kind of fat that is good for you and your heart (just like avocado). Coconut butter is not coconut oil and surprisingly tastes much different. The taste reminds me of a candied coconut and let me just say it is freaking amazing. * I purchase already shredded unsweetened coconut in bulk from my local natural grocery store. 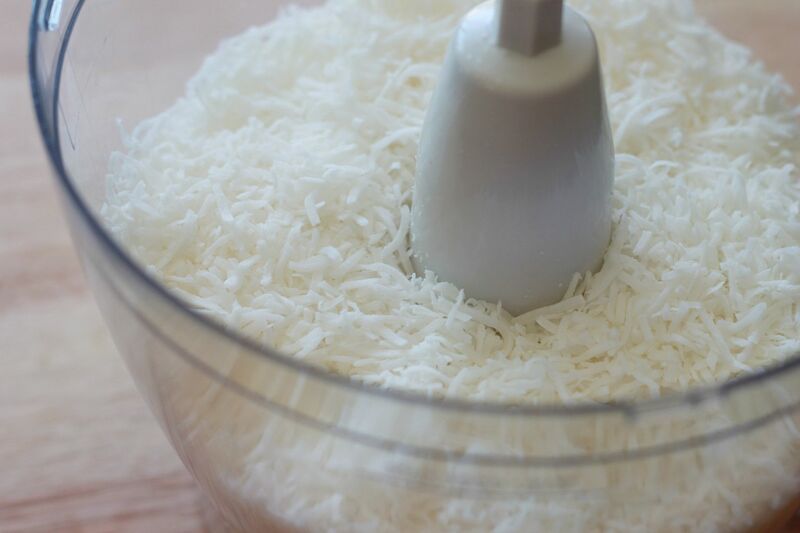 Place the shredded coconut into a food processor and turn it on. Let it work its magic for about 10 minutes or until you have a nice creamy butter like consistency. 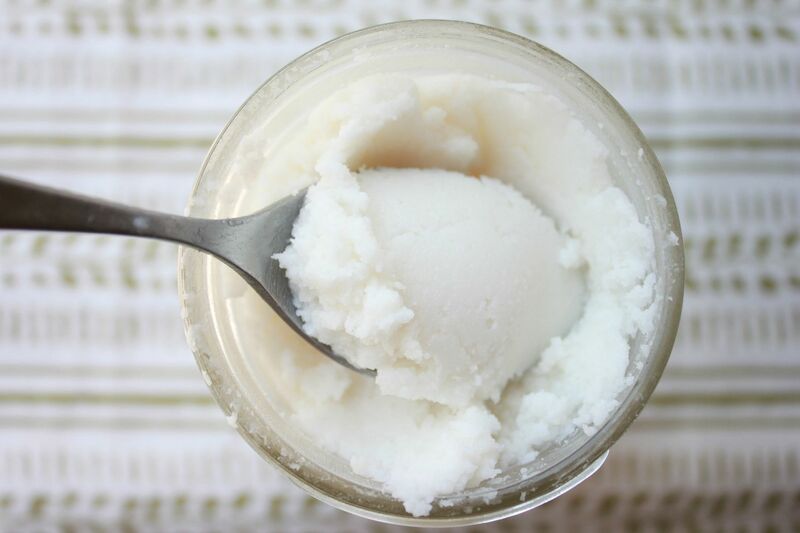 Place the coconut butter into a container with a lid and store at room temperature. It will solidify at room temperature. When you are ready to use it just place it in a glass jar and heat in a bowl of hot water. You can also use straight out of jar as is (that is what I do). Put it on anything and everything! I live in a tiny apartment and try to have as few kitchen appliances as possible. Do you think this will work in a blender? I need to make this. Buying it already made is SO expensive! I had no idea it was this easy. To the above comment regarding a blender- my mom makes her's in a Vitamix blender. It has to be a very high powered bleder to work. And the microwave kills all of the delicate nutrients, so don't throw away all of your hard work by heating it up in a microwave. :) LOVE your blog, just found it and am obsessed with all of your skin care posts. Pinning away! Oooh, how fun! I've never had it. And I have a jar of coconut oil that I got at TJ's, but never think to use. Just not in the habit yet, I guess. I always buy the unsweetened shredded coconut. It tastes sooo much better than that flaked sweet stuff. I could bust this out this morning. Nikki- sorry but this will not work in a regular blender. You do need a food processor or a Vitamix high performance type blender to make this. Shauna- Coconut oil is JUST the oil that is extracted from the meat. 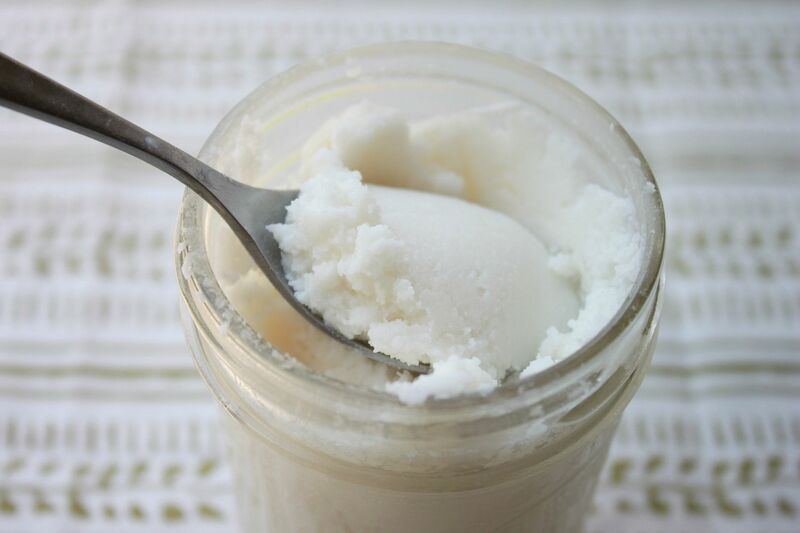 Coconut butter is the whole meat of the coconut pureed into a creamy butter. Oh how I wish they would sell stuff like that in The Netherlands. It looks and sounds exactly like something I would like! Dude. One ingredient? It's amazing how it turns out all creamy like that! I saw a jar of it in the store the other day for a ridiculous amount of money, so this seems like the waaay better option! Is the food processor on a high setting or low? Thank you in advance. Heather- I have one setting on my food processor and that worked great, but if you have multiple settings use the highest one. AMAZING!! So simple, but it sounds delicious!! This looks so good!did u buy shredded coconut or shred it yourself from a real coconut? So clever! I really must make this, looks really delicious. just to make sure I use the right one - is this coconut from the baking isle? Just happen to have a whole coconut sitting in the cupboard. Had gotten it just see what it was like to get the fresh. Now I know what to do with it! Will measure out how much I get from the coconut & what it prices out that way. Carrie- you want to look for shredded unsweetened coconut and yes most grocery stores carry it in the baking aisle. Anonymous- you can sub it for butter one to one in most recipes. Just keep in mind it will give you a much richer flavor, but it's delicious and a great alternative to regular butter. Wow this is truly a great recipe! I did this a while back and I couldn't stop myself from eating it! It tastes delicious! Any fun uses for dried coconut? When you use this on sandwiches and to cook veggies with, is there a coconut taste? I've tried cooking eggs & veggies with Trader Joe's coconut oil and everything has a coconut taste. The eggs were gross. Did anyone get a very grainy texture? What did I do wrong? Anonymous- it sounds like you just did not process it long enough. Next time keep processing until it is smooth and soup like. Heather- yes this has a strong coconut taste, but does not taste oily like coconut oil if that makes sense. How long does it keep not being refrigerated? Should it be refrigerated after a few days? Thanks if you know!! You have just blown my mind. You can use coconut flakes. I've done it. It works like a charm. Hmmmm, if it tastes like coconut then I wouldn't use it for a lot of things I cook. I eat minced garlic mixed with real butter everyday on toast for my allergies. (It works great, by the way) but sure wouldn't want a coconut taste along with my garlic, LOL. But for baking it would be great!! Drvita.com sells 15oz Nutiva Coconut Manna for -$9, free shipping. Label says no refridgeration required. Good stuff! I'll try making some! Thanks! I made two batches of coconut butter and both of them turned out with a gray tint. Put in beautiful white coconut flakes and ended up with weird looking butter. I thought maybe it was my blender so I tried with a different one only to get the exact same light gray color. Is this normal? Not sure if we should eat it or not. Anonymous- sounds like the gray tint is coming from your blades--yikes! Do not eat it. Also, a blender will not work with this recipe. 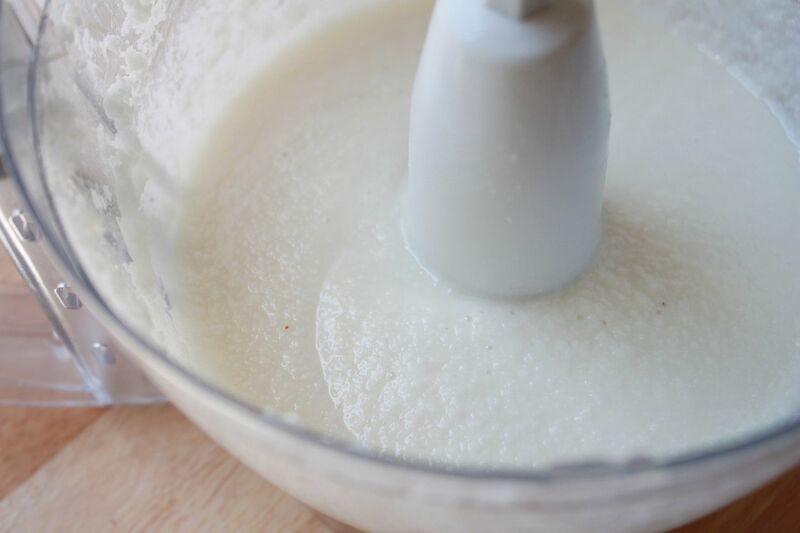 You need to use a food processor, which is meant to be much more powerful and is able to handle the breaking down of the coconut unlike a regular blender. Hope that helps! How long will the coconut butter last? Does it have to be refridgerated? Add a little sea salt or Himalaya salt to store better. I have a machine similar to a Vitamix. It has extremely high speeds. Do I stil use the highest speed, or would that be too high? Linda- A Vitamix, or similar machine should work great. I am not sure exactly on speeds but I would start with the highest and see how that goes. Diane- no it does not need to be refrigerated. May I know the the coconut shreds you use, are they freshly shredded raw from the coconut or they dried ones? Will dessicated coconut work as well? Awesome and absolutely simple! thank you so much!!! I just tried this, and I'm not sure if it's right. I processed for what seemed to me a really long time. It looks nice and creamy, but is a tad grainy. It tastes great, though, kinda like coconut peanut butter. Wondering how long can I keep it out without being refrigerated? I live in the tropics where things go rancid or grow bugs? Did you know that shredded coconut is also good for parasites? It looks like we have a new favorite product for our home! Does anybody have a tip on the best place to find the coconut? Wat is the difference between fresh coconut and unsweetened one? I am from India and I doubt i fill find unsweetened coconut here.. I made this today it was so easy and taste great love this better than butter. Thanks for this post so easy to make.I will be sharing this with my friends. What are the differences in both the nutritional values and the uses of coconut oil and coconut butter? Not understanding if it's dry coconut or moist that's supposed to be used & I've read ALL of the comments. I understand the shredded unsweetened part! Do you know if I can use a fresh coconut, freshly cracked for the butter?? Can I make a large batch and freeze some? How long would that last? @Midge-You can find videos on YouTube about how to make it from fresh coconut, but it's a lot more work. Tried this today. It didn't work. Ran the food processor until it overheated and shut itself off and it's still grainy. Please share if it's ok with you! I've also sent you an email about this via the contact page! 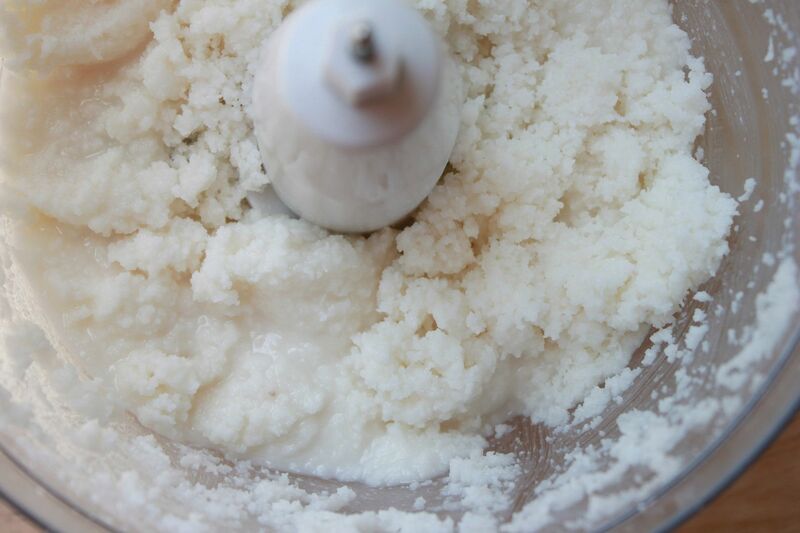 I use a young thai coconut meat and then put it in a nutribullet. Works perfect. OMG how easy is this! I just saw another recipe that needed coconut butter and had no idea where to get it from. Now I can just make it myself. YAY. I have dry shredded coconut I got from Natural Grocers also. I suppose it has to be the moist one? I made this today and it really is freakin' awesome! LOVE! How long does it last on the shelf before it needs to be thrown out? This looks yummy! P.s. the fat in coconut butter is not the same as in avocados. Avocado has poly and mono unsaturated fats. These are essential for your body. Coconut has saturated fat which is generally linked to heart disease.. the argument is that the saturated fat chains in coconut butter or coconut period are shorter linked when compared to animal fats... studies have not yet proven whether or not coconut saturated fat is better for u than the kind that comes from animal fat (dairy, meat). long story short. Avocado and coconut do not have same fat in anyway. :-) couldnt help it, I am studying Nutrition and learned some of these things. that aside I do love the taste of coconut and enjoy your posts. Blessings. OMG! This is so simple - didn't realilze it was this easy! Thank you, thank you! OK!! I used the 5 cups of shredded organic unsweetened coconut. Put it in the processor. Ran it for 10 minutes. LIQUID!! GRAINY LIQUID! So I ended up processing it for about 30 minutes total. Still a grainy liquid. I am VERY DISAPPOINTED!!!!! I lightly toasted my coconut first, let it cool, then used my food processor! Incredible! I have been trying this the whole day and it is not working. I have a Braun Food processor. The flakes turn into a fine powder but it does not turn into butter at all. I have been wondering if it is because of the flakes, could it be that they might be old? They are too dry. Have you ever tried with fresh coconut? Any advice? No one has answered if you can use a fresh coconut. We grow them. Someone above stated there are video's on Youtube.com on how to process fresh coconut. Someone else above uses a Thai coconut and a Nutri-bullet and works fine for them. thanks for sharing Lindsay. I will try this for sure. Love your site. Is shredded and scraped coconut the same thing? Can i use fresh coconut or is it too moist? Thanks for sharing your recipe. I recently made coconut butter for the first time, using flakes as they were what I had and the recipe I found elsewhere called for them. It turned out lovely. I'll try shredded next time and see if we can tell a difference. I usually make my own shredded coconut from the flakes. Do you think that will work just fine? Or is there something about commercially shredded coconut that makes it work better? Can someone please answer how long of a shelf life in a jar? I have some from a little over a year ago I found in my cupboard. It has been opened once. Still smells great, I can't find an expiration for it anywhere! The brand is My Coconut Kitchen.